Gentlemen of Leisure: Anyone for a 3-way? She's stood up to an oppressive regime. She has vast experience with foreign affairs. Her running mate knows how to handle terrorist threats. And she's hot ! ! ! Do you really want another stubborn white guy in the oval office? It's time to put Pryde back in politics. 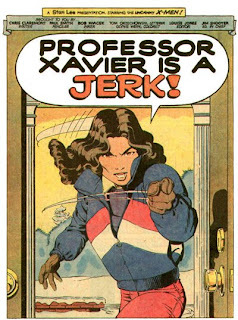 Kitty Pryde - guaranteed to NOT stop a bullet. Go ahead. Throw away your vote. Kitty genuinely cares about making other people's lives better. She has the experience and the smarts to have a positive affect on society. Plus she's not in the pocket of big corporations like Mystical Medicine or Summers Saltines (He and his brother are the top dogs at the cracker conglomerate and everyone knows about the shady backroom deals they're involved in). Vote your conscience. Don't be a lemming. 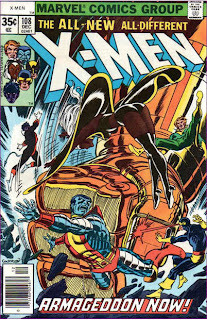 Race should be the last thing on the mind of any mutant supporter. 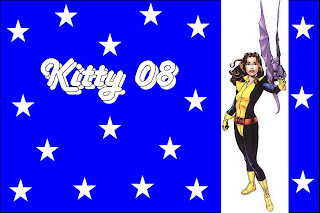 Kitty is also a mutant but she has the added advantage of functioning breasts. I don't think Cyclops or Stephen Strange could nurture this country like it needs right now. Besides, Lockheed has proven himself time after time. The election is only days away yet I fail to see who Cyclops and Dr. Strange have as running mates?!??! Well, it's not so much a racial thing as a religious one. 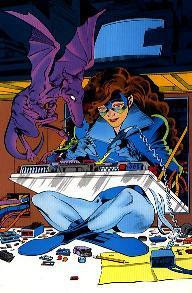 Lockheed's dragonian nature suggests a strong tie to the mystical arts, further suggesting that perhaps Kitty isn't as far removed from the "taxes for the mystic arts" platform of Dr. Strange as her 3rd party candidacy would suggest. 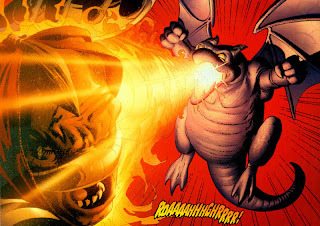 Actually Lockheed is an alien not a mystical dragon and he happens to be a mutant as well it was revealed at one point. You all need to throw away your geek union cards immediately. Also I'm not quite sure what it says that for the hot picture you chose one from Ultimate Spider-man where she is 16 years old. Hmmm... Not sure I can endorse a candidate that has supporters who don't do their research. Oh...Doctor Strange's running mate is no man-bull trained by Enitharmon the Weaver. Doctor Strange's running mate will be revealed.........and will completely change the complection of this race!!!! Oh, I'm well aware that Lockheed is an alien, rather than a mystical, dragon. However, he's still a dragon that looks like a dragon, and to the general public, who are more familiar with mystical rather than extraterrestrial dragons, that's enough to make them wonder if perhaps this alleged "independent" party is truly independent from the kind of policies espoused by the mystical Dr. Strange. Best to avoid the whole hornet's nest entirely and vote Cyclops, I think. And I think it says a lot about Kitty's supporters that the picture chosen to illustrate her hotness was from when she was 16. Then again, we're talking about a candidate who carried on an illegal relationship by dating a 19 year old man (and a Soviet, no less!) when she was fourteen. Clearly, it's as easy for this candidate to slip past laws and traditional family values as it for her to slip through walls. 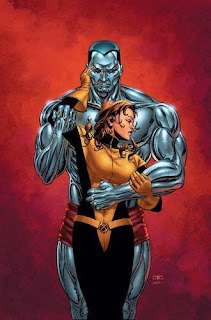 If she dated a Soviet, Kitty Pryde must be a Communist. There's no way I can vote for her. Down with the Commies! !